Visit our sister websites and other sites of interest. Adventure and Travel at Land’s End. The comprehensive information source for travelers since 1993, is published quarterly in full color, in a sophisticated magazine style and offers beautiful photography, informative editorial reviews, hotel guide and beaches information. 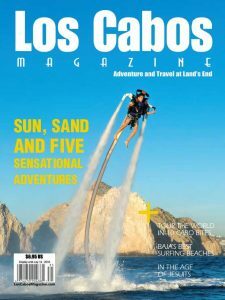 Each issue of Los Cabos Magazine contains from 100 to 140 pages, depending on season. Detailed locator maps make finding your specific destination easy.